Educational Webinar: FSMA IA (Intentional Adulteration) Rule – Are You Ready? Webinar Replay Registration - FSMA's IA (Intentional Adulteration) Rule: Are You Ready? The July 26th, 2019 deadline to comply with the FSMA’s Intentional Adulteration rule has food and beverage companies scrambling. Join special guest Rod Wheeler, CEO of The Global Food Defense Institute, as he clarifies FSMA’s IA rule requirements and serves up tools that help large food manufacturers and processors identify their vulnerabilities easily — in two days or less. Using the FDA’s Food Defense Mitigation Strategies database...It’s easy! 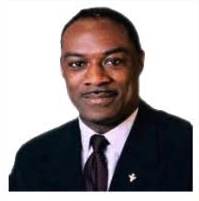 Rod Wheeler is the Founder and CEO of The Global Food Defense Institute, the only global firm that focuses solely on food defense, intentional adulteration (IA), tampering, and intelligence. As a former Crime Analyst for the Fox News Channel and frequent guest on several national and international news outlets, he is a leading expert on food security, terrorism and crime.